The chavista government has given all it is capable of giving. The published “official” statistics confirm that the condition of the working class has gone from bad to worse under the governance of a State that has benefited both national and foreign capital. If the working class does not want to continue losing, it must make Maduro fall. Every time that a bonapartist government loses an election, the idea that right-wing factions supported by the United States and a stateless bourgeoisie has managed to dupe the working class emerges. We should mention that this kind of analysis rises from the same ideological kernel utilized by the more rancid right-wing that conceives of the working class as an ignorant subject that can be easily manipulated by any political leader. Against this argument, as we will demonstrate, the defeat of chavismo is the product of a rejection to the regime by the working class itself. Actually, we argue that it is the absence of a revolutionary alternative that has led workers straight into the hands of the opposition. In the 2010 elections, with an abstention rate of 33.55%, the Democratic Unity Roundtable (or MUD from the Spanish: Mesa de Unidad Democrática) obtained 5,320,364 votes while the ruling party obtained 5,423,324. In these elections we find that chavismo got to 6,082,000 votes—that is, 658,676 more—while the opposition grew by 2,179,636 votes. If we look at the presidential elections, we find that in 2012 Chavez obtained 8,191,132 votes and Capriles 6,591,304, with a very high voter participation of almost 19 million people—the voter participation rate was higher than 80%. In 2013, Maduro obtained 7,587,579 votes and Capriles 7,363,980, while in the municipal elections of that same year chavismo obtained 3,792,763 votes—with a 20% lower rate of participation than previous elections. To summarize, in the legislative elections, the opposition managed to grow with more than 2 million votes in five years, while the governing front grew only by 600,000 votes. If one compares this with the presidential elections, chavismo lost 1.5 million votes. If to all this we also add the numbers from the municipal elections, everything seems to indicate that there is not much of a drive to defend chavismo in light of the growth of the opposition which has managed to capture a sector of the increased electoral participation as well as chavista voters. Moreover, it has grown in working class regions such as Antímano, 23 de Enero and Petare. With these results, the seats in the National Assembly were distributed in the following way: 112 for MUD and 55 for the ruling alliance, even though the Supreme Tribunal of Justice (or “TSJ” from the Spanish Tribunal Supremo de Justicia) impugned a deputy of the ruling alliance and three others from the MUD. Here begins a dispute in relation to whether two-thirds of the seats in the Assembly refers to the total number of the seats or to the total of the occupied seats, that is, between 167 or 165, a distinction which is not made explicit by the Constitution. This last point is extremely important given that if the opposition obtains the “majority” (that is, two-thirds), it can revise international treaties, modify organic laws, promote a constitutional reform or a constituent assembly, and remove the leadership of the TSJ and other public institutions. 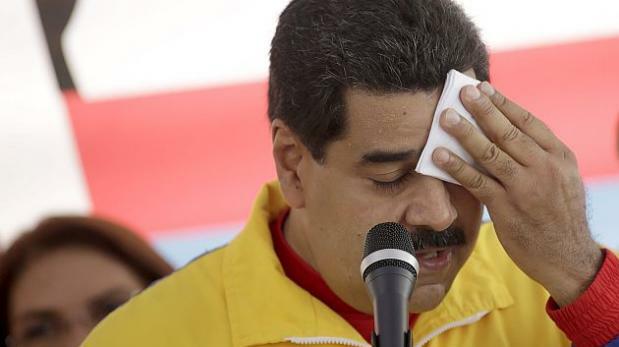 Furthermore, halfway through Maduro’s term, attaining a two-third majority would allow the Assembly to call for a referendum that can revoke Maduro’s presidency. With a three-fifth majority, the opposition can promote amendments to be voted as a referendum, votes of censure to the vice-president or the ministers, authorize the prosecution or incapacitation of the president and deputies, accept or deny the budget, as well as launch transformations of citizens powers, approve a state of exception or constitutional reform, sanction enabling laws, promote the removal of members of the National Electoral Council (or CNE from the Spanish Consejo Nacional Electoral) and the TSJ as well as veto ministers and the vice-president. MUD’s objective is to oust the present government. However, there are various internal debates as to which strategy to follow. These were evidenced in the election of the president of the National Assembly which ended up being determined through a vote that gave the victory to Henry Ramos Allup – a historic leader of the party Acción Democrática – who beat Julio Borges of the Primero Justicia party (Capriles’ party). Ramos Allup expresses the formation of an alliance of the toughest sector of the opposition—between Leopoldo López’s Voluntad Popular, Antonio Ledezma’s Alianza Bravo Pueblo, and Corina Machado’s Vente Venezuela who seeks to oust Maduro as quickly as possible. On the other side we have Capriles’ sector who takes a more moderate position. In concrete terms, Ramos Allup and Chuo Torrealba (the general secretary of the MUD) think that the way of ousting Maduro is through a constitutional amendment which will shorten Maduro’s government to four years—that is, it will end his mandate in 2017—while Capriles proposes to activate, in parallel, a revocatory referendum. The former maintain that that the revocatory referendum takes a long amount of time because it first requires amassing 3.9 million signatures to send to the CNE—all of which could slow down the referendum. Moreover, they argue that it must be voted on by an even larger amount of people that the president himself obtained in the original election, that is, by more than 7.5 million votes. On the other hand, the constitutional amendment only needs the support of a third of the deputies in order to be submitted to the CNE—which would only have one month to submit it to submit it as a referendum that will only need a popular approval without a specific number of supporters. However, Capriles argues that this alternative would be blocked by the TSJ whereas a referendum would oust Maduro with an “immense majority” of votes. Back in December Capriles already pointed out that the first objective of the opposition should not be to get rid of Maduro, but rather to work on the economic crisis. That is, Capriles is betting on the wearing out of the Maduro government and of capturing the chavista vote for the opposition. “Law of Universal pensions without contributions” and extend this benefit to those who have not been contributors. The opposition has also presented the “wage protection and anticipated social loans” law which proposes that workers receive, with anticipation, certain wage benefits. Ironically, the pro-government political forces denominated the opposition “demagogues” for proposing these laws. But what we can see is that that opposition seeks to break the link between chavismo with the working class by promising social reforms. In relation to the business sector, the opposition proposes to apply a battery of laws that aim to reverse the process of expropriations and to fasten, at least temporally, the importation of basic goods. Moreover, it promises a public works law between the State and the private sector. The opposition is also seeking to modify the Law of Fair Prices (Ley de Precios Justos) to make the country more attractive to private investors. On the other hand, the deputy Julio Borges presented a bill that focused on the “ emergency food situation” which adds to the “Law of National Production” and seeks to quicken the credit situation and investment in the food and oil industry. In short, at least in principle, the opposition aims to rely on the industrial bourgeoisie despite of the possible detriment to the commercial-exporting bourgeoisie. Nevertheless, nothing in Venezuela can be achieved without tapping into the income produced by the oil industry. In relation to this last point, the opposition supported Maduro’s decision to increase the internal price of fuel, although it has also proposed to revise the oil trade agreements—in particular the Petrocaribe alliance, and in particular with Cuba. Through this alliance, Venezuela sells oil to 18 countries while offering them payment options and soft loans—all of which translates to a decrease in foreign exchange earnings. The opposition proposes to “recuperate” that oil to commercialize it according to the prices and forms of payment of the market. Nevertheless, this can become a sticking point for the United States given that John Kerry himself, as of April of 2015, maintained that if Petrocaribe fell it would create a humanitarian crisis in the zone given that the United States cannot provide for the amount of oil that is needed in the region—or at least it is not interested in doing so. That is, for imperialism, “bolivarianism” is a useful form of social control. With the visit of the diplomat Thomas Shannon who met with Maduro, chancellor Delcy Rodríguez and also with the leadership of the MUD—the United States already made it clear last year that it was going to become a more active participant in UNASUR (via diplomatic relationships with its chancellors) in order to guarantee an electoral way out of the Venezuelan crisis. The United States seems to maintain the same strategy given that the republican party asked Obama to sanction Venezuela through the OAE after four members of the national assembly were impugned. Nevertheless, at least for now, the United States has not proceeded to sanction Venezuela, despite the efforts made by the MUD. What is the state of the country that chavismo leaves behind? According to statistics published by the INE, in the first semester of 2015, the number of unemployed workers was 1 million and the number of workers in the informal sector was 5 million. That is, 44.9% of the economically active population finds itself unemployed or working in the informal economy. If we look at the last four years of Venezuelan government, we find that there were only 100 thousand less unemployed workers, and 150 thousands more workers working in the informal sector. That is, the unemployment rate then was simply undercut through an increase in jobs in the informal sector. Another way of containing the crisis was to increase employment in the public sector. In particular, employment in this sector increased by 16% from 2,323,954 in 2011 to 2,713,324 in 2015. On the other hand, the private sector saw an increase of 10.9%, from 9,382,439 to 10,407,434. Now if we look at the contemporary situation of employment and break it down by industry, we find that 64% of jobs are divided up between the service and commerce sector—both of which represent the highest levels of informal labour. To this we must also add the increasing costs of everyday life. According to the Center of Documentation and Social Analysis of the Venezuelan Federation of Teachers (or “Cendas FVM” from its Spanish acronym: Centro de Documentación y Análisis Social de la Federación Venezolana de Maestros – FVM), one would need to earn the equivalent of 8.4 times the minimum wage to live in Venezuela. Jobs such as the director of a hospital, associate professor, or any other professionals within the high ranks of public administration do not even make this much. Same goes for the oil workers, who have demanded a higher wage from their secretary, Wills Rangel, as well as a plan to build houses for the 55 thousand workers in need of a home. In October of last year there was a strike organized by university teachers that focused on the struggle related to wages. In May of that same year autoworkers asked to be paid in dollars to compensate for the loss their wages because of the depreciation of bolívares. As we see then, the situation of the working class in Venezuela has been getting worse for a couple of years now, in large part due to decreases in wages and the growth of jobs in the informal sector with precarious conditions. These are the reasons that explain the great discontent with chavismo. How did Venezuela get to this situation? To answer this, it is necessary to see where the oil dollars have gone given that this income is the principal tool chavismo has had in the past years. According to data published by PDVSA, 173,547 millions of dollars of the oil company has been redirected toward social programs between 2004 and 2012. If we look at the amount of dollars transferred by CADIVI in the same period, we will find that 180.567 millions of dollars have been given to 10,374 companies—out of which, the first 100 of them concentrate 45% of the total dollars transferred. That is, about half of the oil rent was utilized to subsidize the national and foreign bourgeoisie instead of being utilized by the workers. 30.09% of the transfers made to these companies ended up in the hands of 63 foreign corporations, 7.04% ended up in the hands of national private companies, 7.41% ended up in the hands of 12 public companies, and 0.18% percent ended up in the hands of a mixed company. The principal beneficiaries of these monies have been foreign automotive assembling companies as well as foreign pharmaceutical companies and both national and foreign food companies. If we focus on the automotive assembly companies, we see that the majority of these companies are grouped under the Venezuelan Automotive Chamber (Cámara Automotriz de Venezuela). This entity, along with FAVENPA, which groups together various auto part producers, have participated in various dialogues organized by the government and have managed to get some of its debts canceled in dollars, salvaged Ford Motors, and managed to get the autobus makers to align themselves with Misión Transporte as a way of reactivating the industry. Regarding the pharmaceutical industry, many of the companies receiving dollars are affiliated with the Venezuelan Chamber of Medicines (CAVEME), which since 2012 has formed an alliance with the Chamber of the Pharmaceutical Industry (CIFAR), Funda Pharmacy, and the State, to boost Farmapatria in with the aim of selling drugs at low costs. Moreover, in 2011, the then Commerce Minister Eduardo Saman, sought to promote a law to restrict drug patents to produce them locally, resisted by CAVEME. The project was never approved and Saman ended up leaving the government. Regarding the food industry, the majority of companies are affiliated with the Venezuelan Chamber of Food Industry. The government accuses this sector of generating shortages and it even went on to hold deposits of Polar and Nestle last year with the alleged intention of building houses. The companies argue that the problem of shortages is due to the lack of a production chain. They also demand that they need to keep 10% of their profits to pay off debts, revive credit lines, encourage domestic production and review the prices fixed for some products. This coincides with the plan proposed by Borges in the AN, as part of the food crisis response. Nevertheless, very different is the relation that the government has with some companies that have received its dollars, such as: Alimentos Balanceados ALIBAL, the foreign company PROTINAL, or even MOLVENCA from the Sindoni group, amongst others. Regarding the first of these, in 2014, the government set up two production lines to increase production by 150% and authorized 4 billion to make certain payments abroad—all in the midst of the economic crisis. In relation to Protinal, beyond several verbal arguments and fights, during the inspections conducted in September of 2014, the government maintained that the company was not productive because it lacked raw materials (not because of hoarding) and in that moment provided the company with 8 thousand tons of soy and 4 thousand tons of yellow corn to restart the production of chickens. As early as 2014, the government announced an agreement with the company to raise production capacity from 70% to 100%. Protinal is a provider of the government’s MERCAL network, which distributes food at subsidized prices. The Sindoni group finds itself in a similar situation. It directs 70% of its company, Sindoni Pastas, to the different government supply networks. That is, it is simply false that chavismo has seriously confronted the bourgeoisie and, in particular, foreign capital. We see then that, even in its decadence, chavismo is supported by at least a few corporations. The problem, then, is that it has run out of resources. The chavista government has given all it is capable of giving. The published “official” statistics confirm that the condition of the working class has gone from bad to worse under the governance of a State that has benefited both national and foreign capital. If the working class does not want to continue losing, it must make Maduro fall. The opposition aims to oust the government, but only to inherit the command over the ruling class, as it dreams of pushing forth industrialization as a way out of the crisis. It will attempt to dismantle the bonapartist alliances, but it cannot coordinate a direct attack of workers. The Venezuelan proletariat finds itself even weaker than in the beginnings of chavismo. Its organizations have been debilitated and so has its consciousness. In these past months it has organized several struggles against the government’s austerity plans, such as what is exemplified in the cases of the workers from SIDOR, Corpoelec, the teacher’s struggle, and so on. But if these efforts are to bear fruit, unity in organization is necessary, and this is why a convening of all organizations in struggle is the first step in the construction of creating a proper organizational vehicle. The workers must prevent the right-wing from taking advantage of the government’s crisis but also prevent those elements of the PSUV that are attempting to reinvigorate themselves by promising a “better chavismo.” A call to unify all revolutionary currents, all of the colectivos with a classist allegiance and independence as well as all of the unions not yet coopted presents itself as an urgent task. In the end, only the construction of a socialist horizon would be able to overcome the crisis.